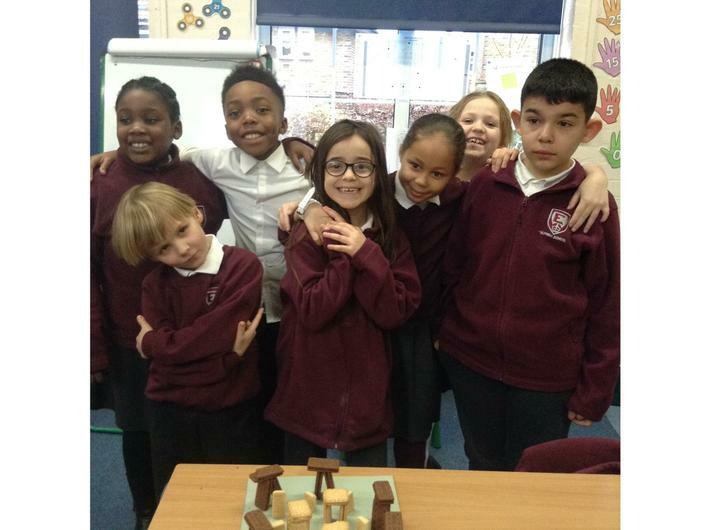 Today (01.02.19), we were learning about Stonehenge. 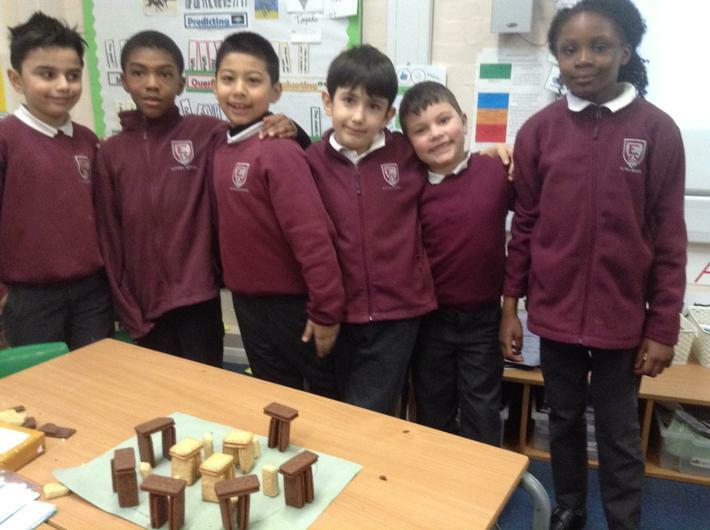 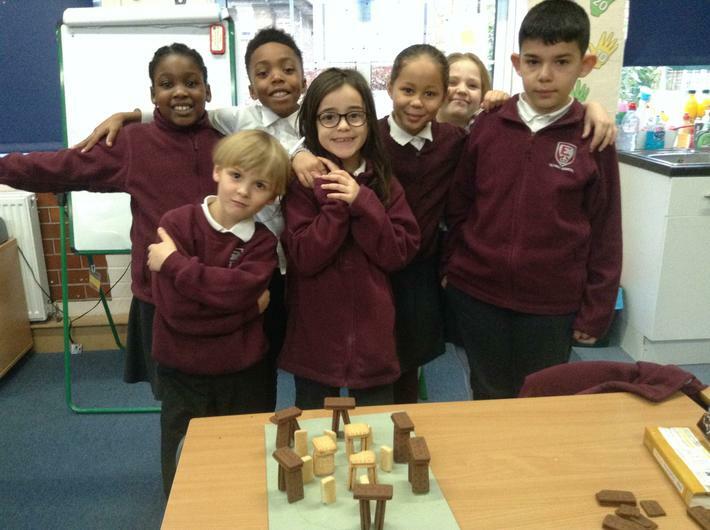 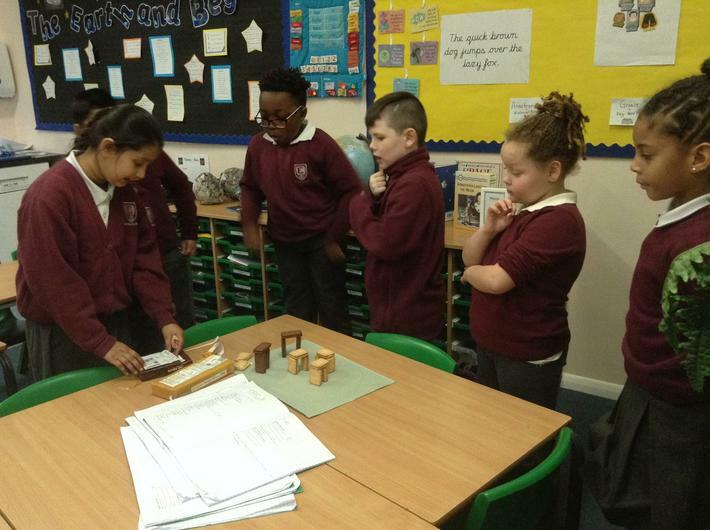 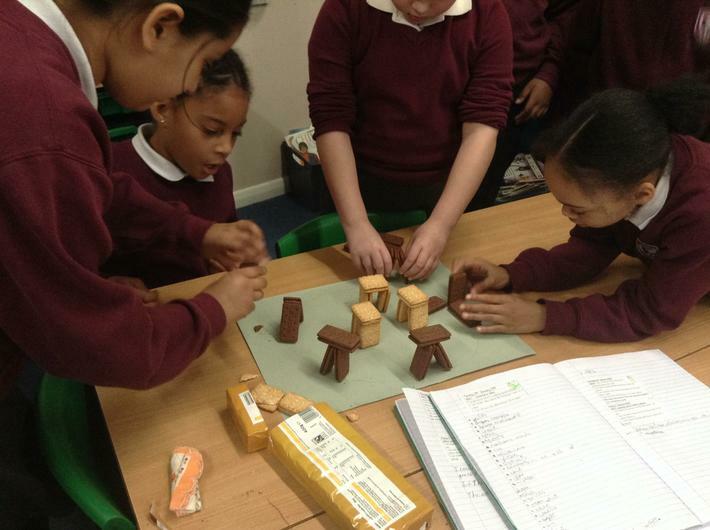 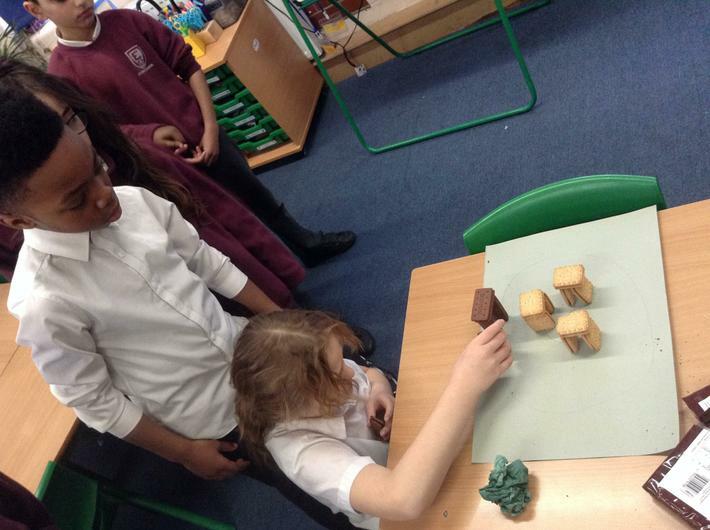 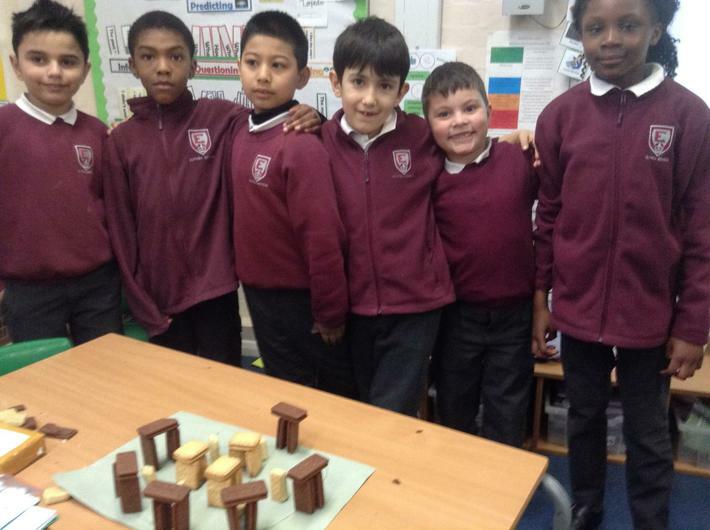 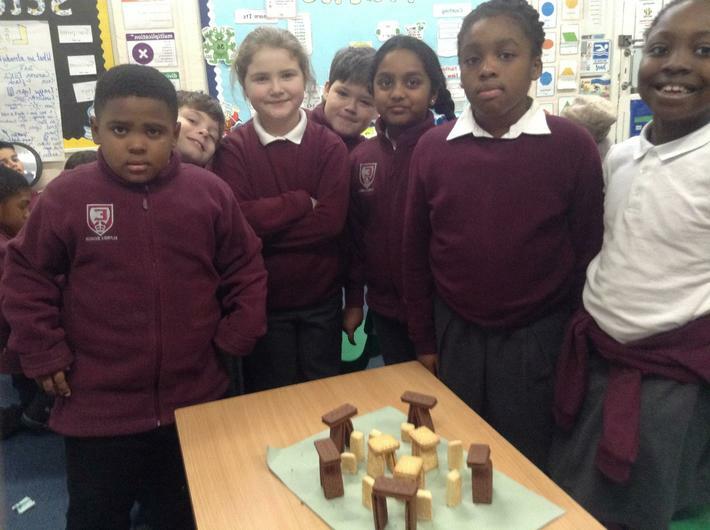 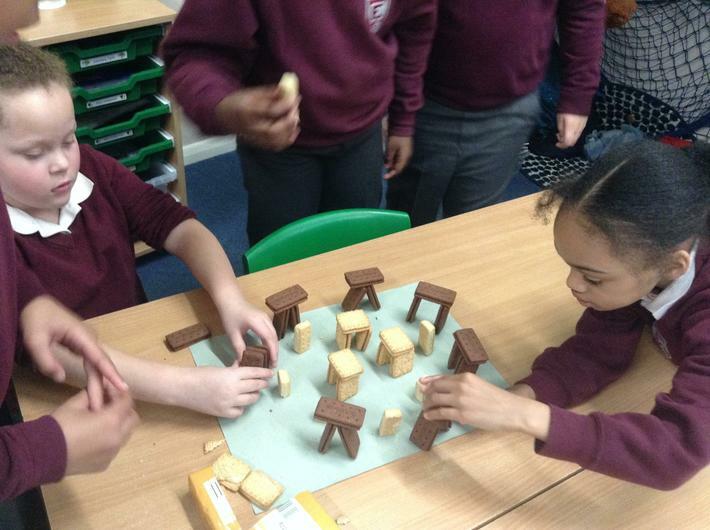 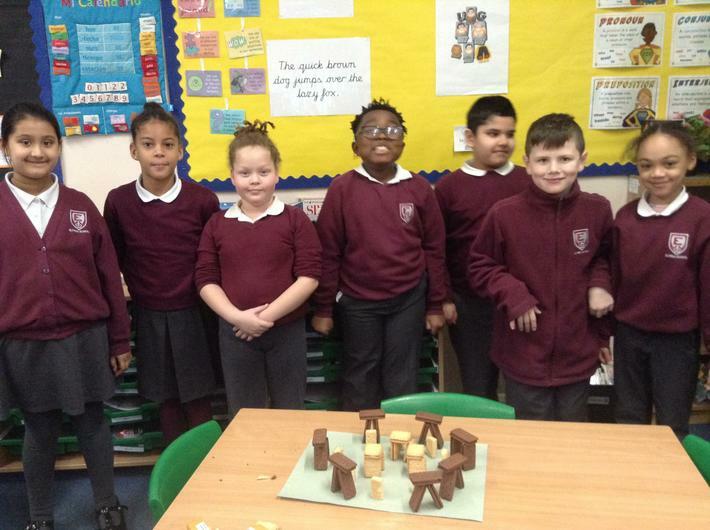 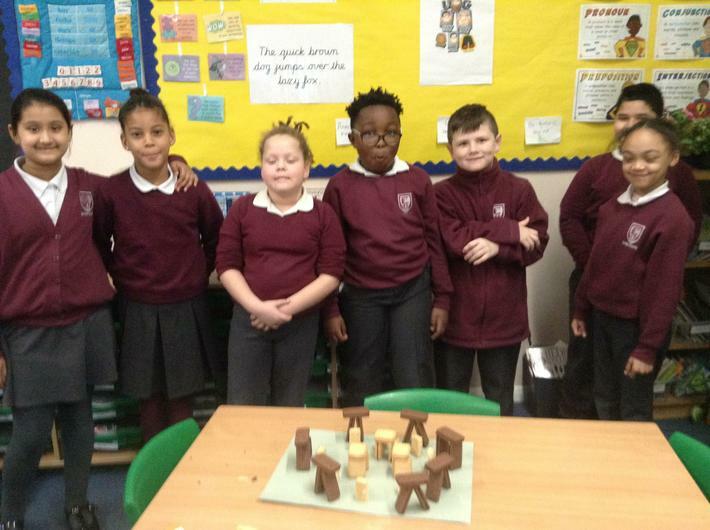 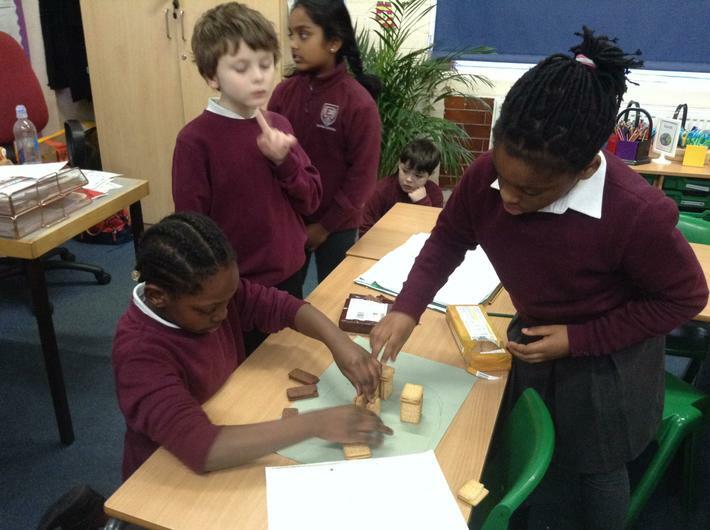 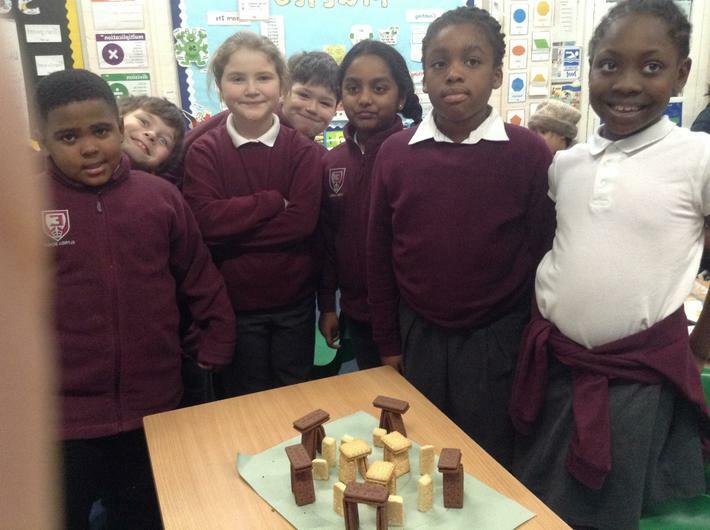 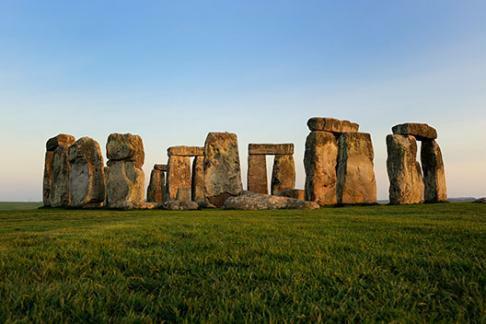 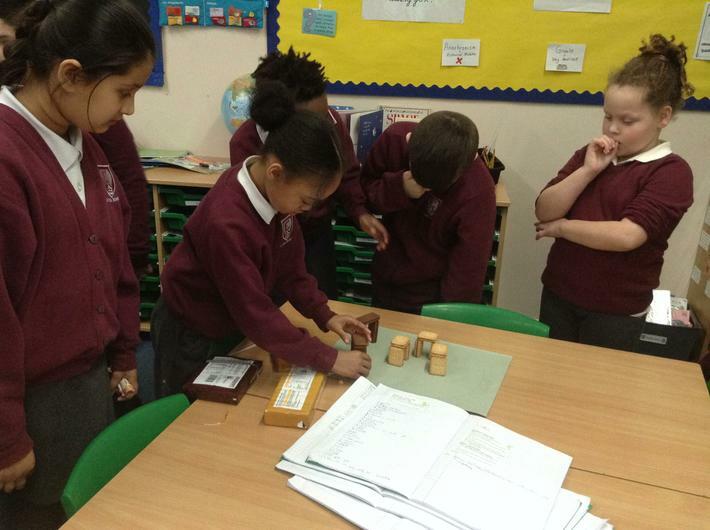 We created our own Stonehenge models using... 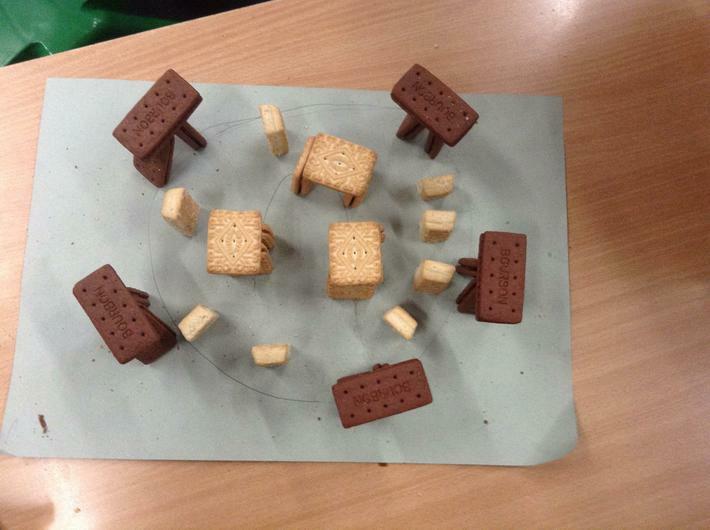 biscuits!!! 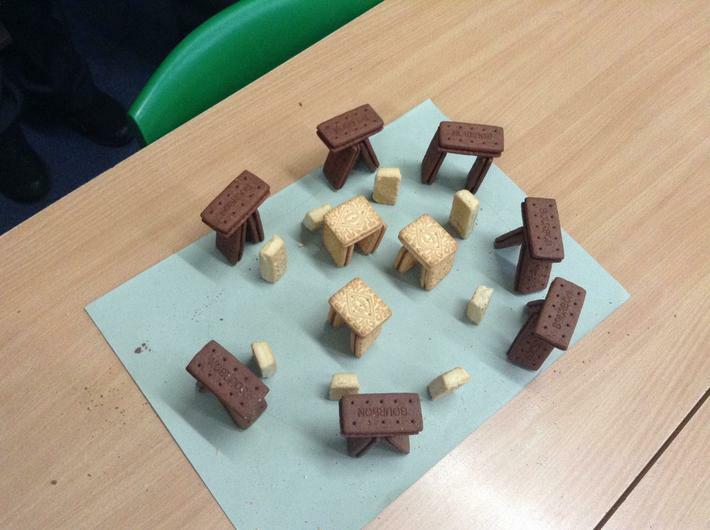 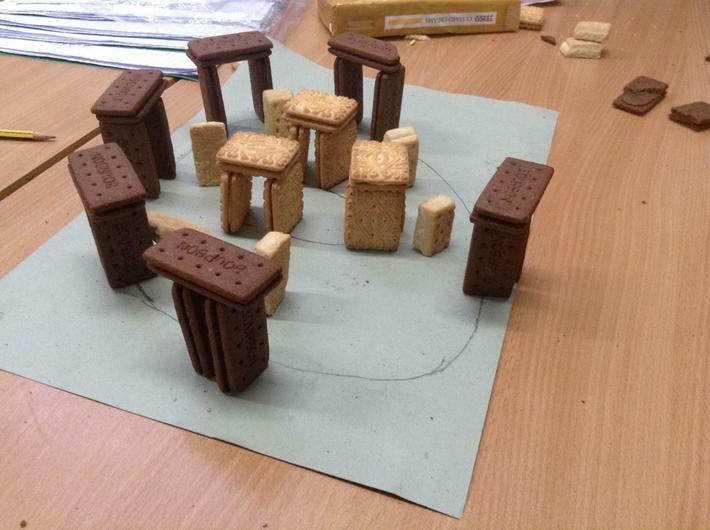 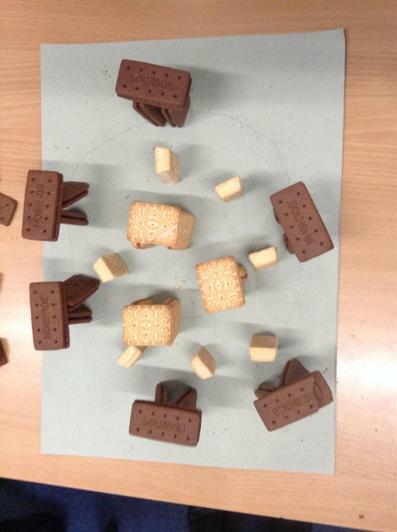 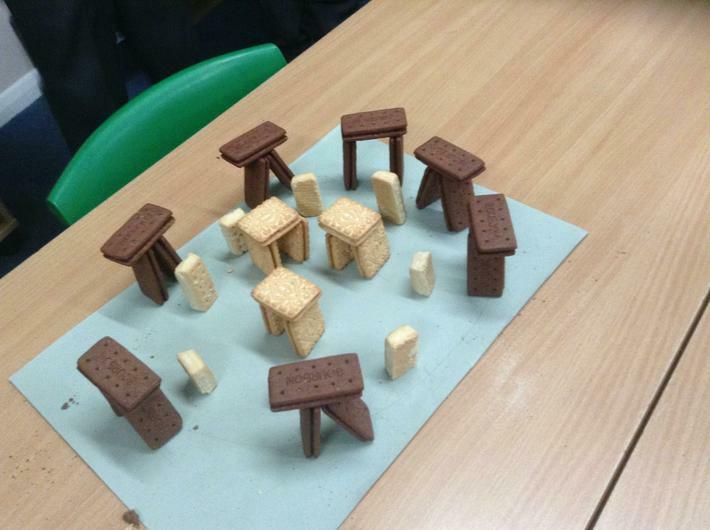 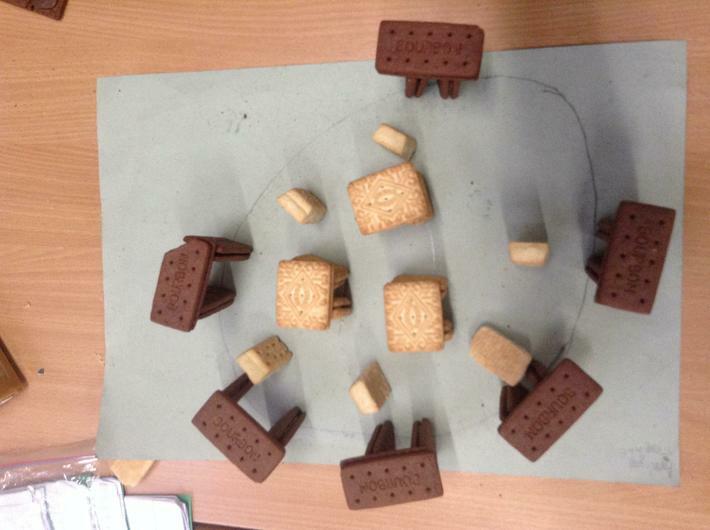 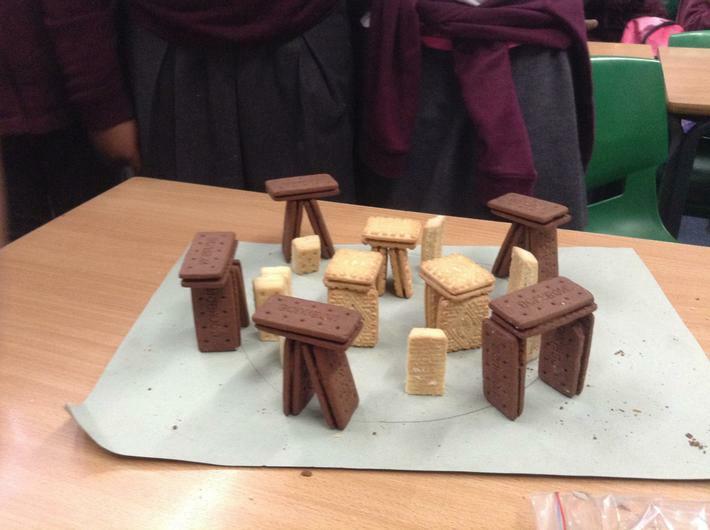 Out Stonehenge models included the Outer Circle (Bourbon biscuits), Bluestones (Shortbread biscuits) and the Horseshoe (Custard Creams). 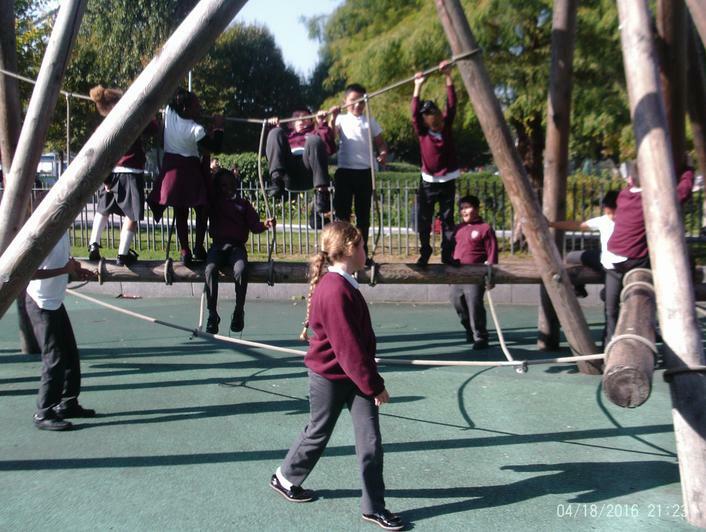 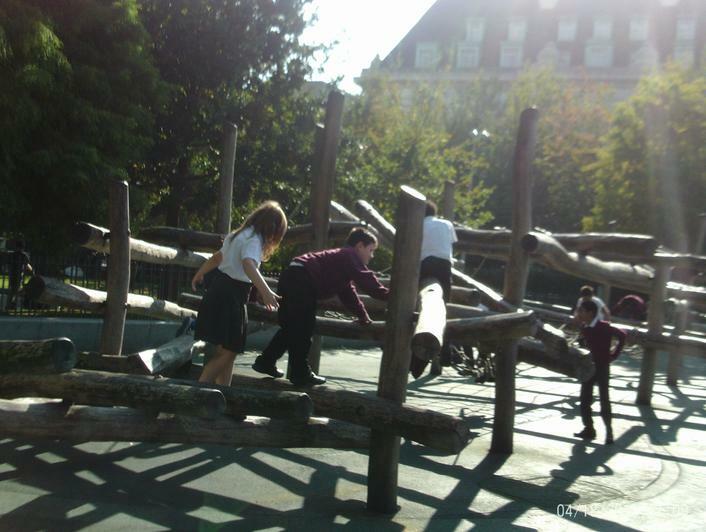 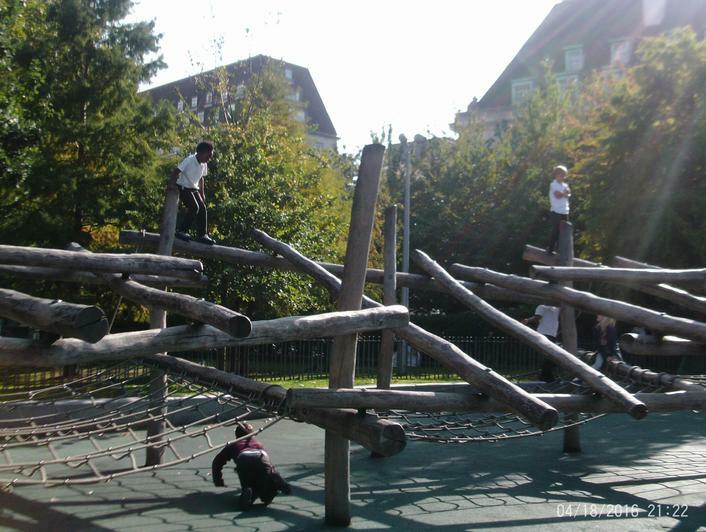 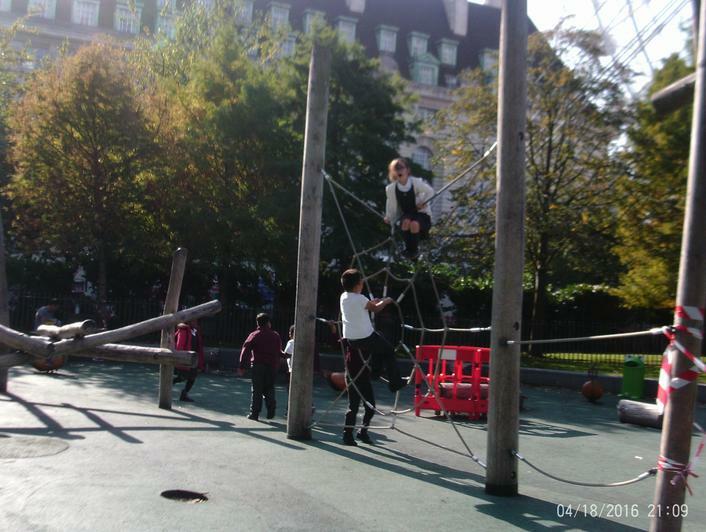 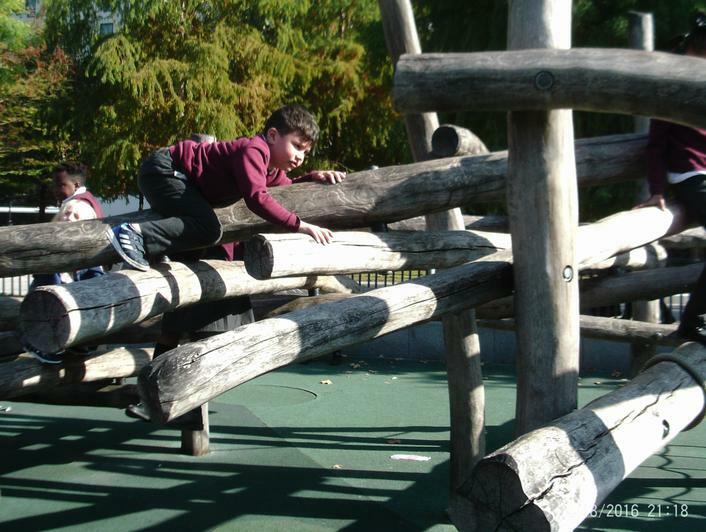 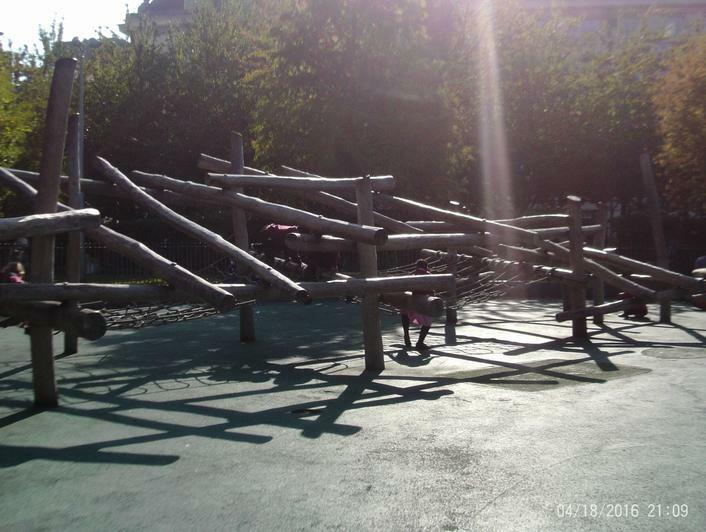 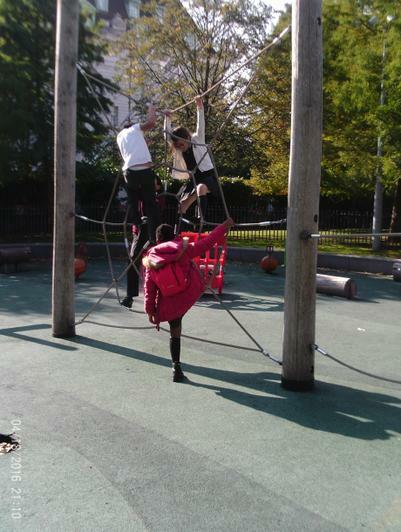 It was very tricky and it required a lot of teamwork and concentration but we all managed to do it! 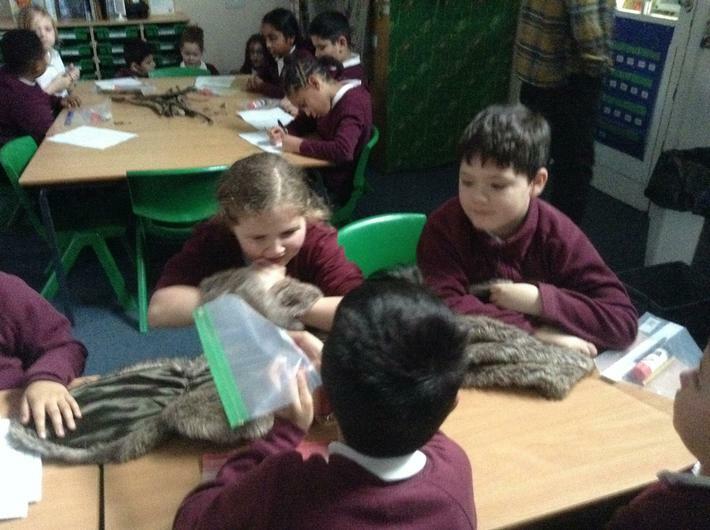 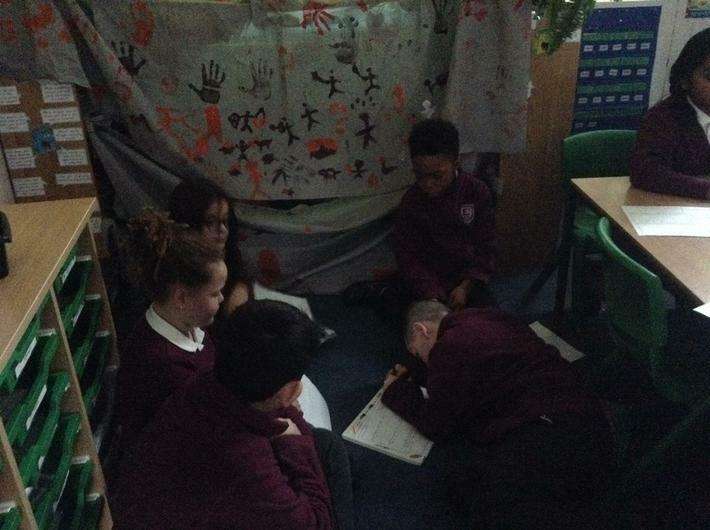 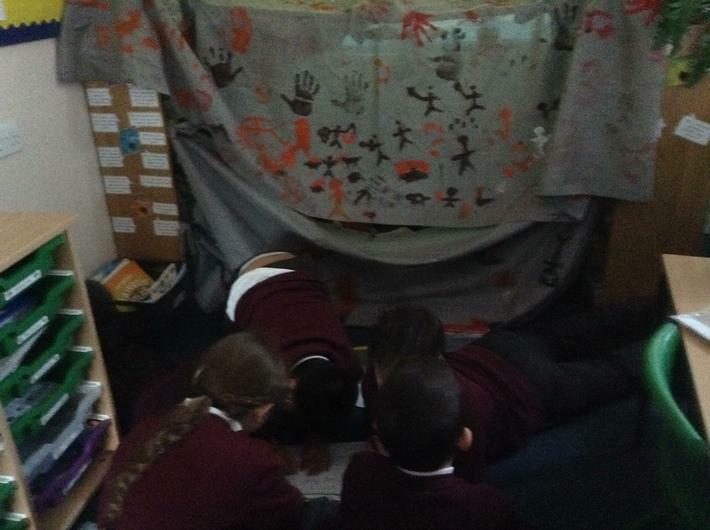 On Tuesday 22nd January, we enjoyed imagining that we were Glog - a child who lost their tribe in the Stone Age. 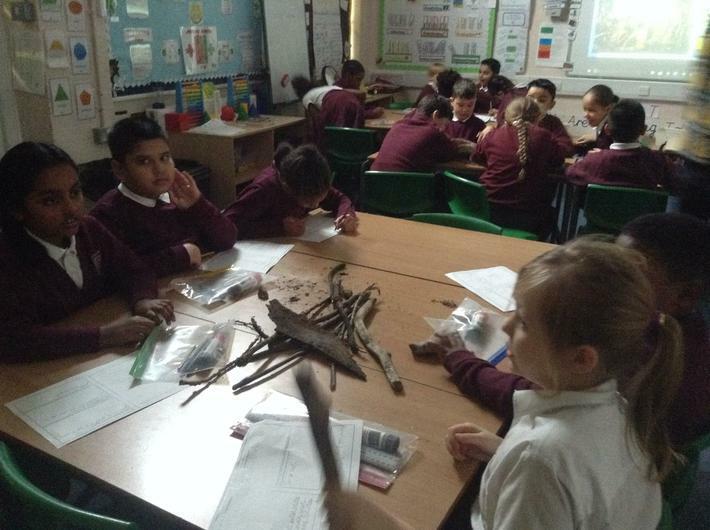 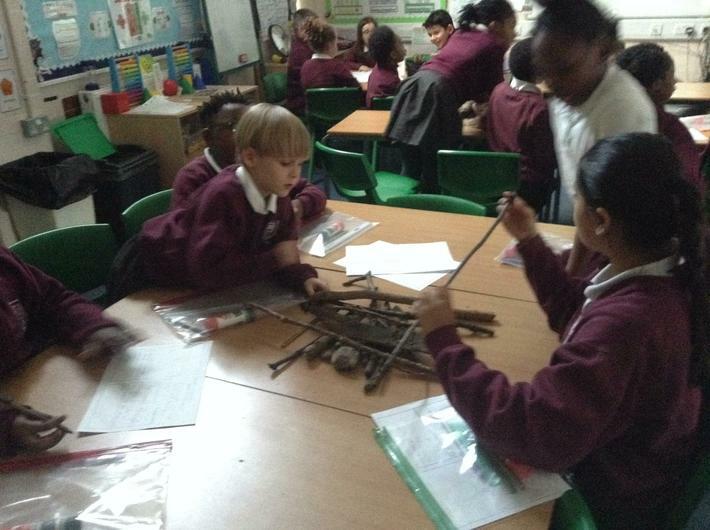 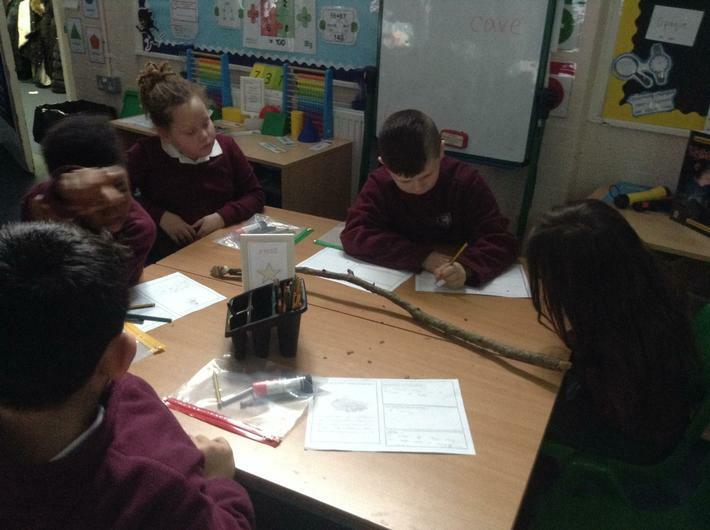 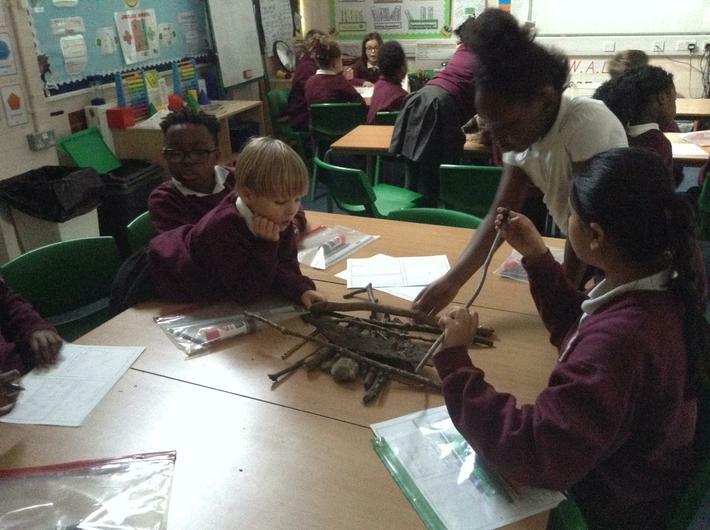 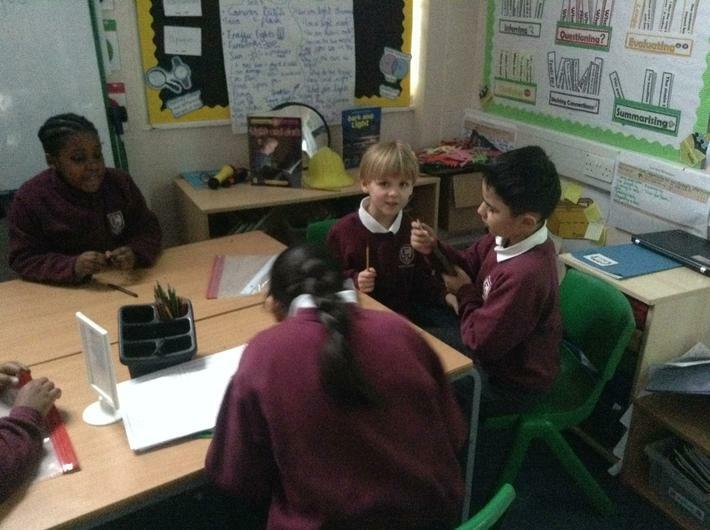 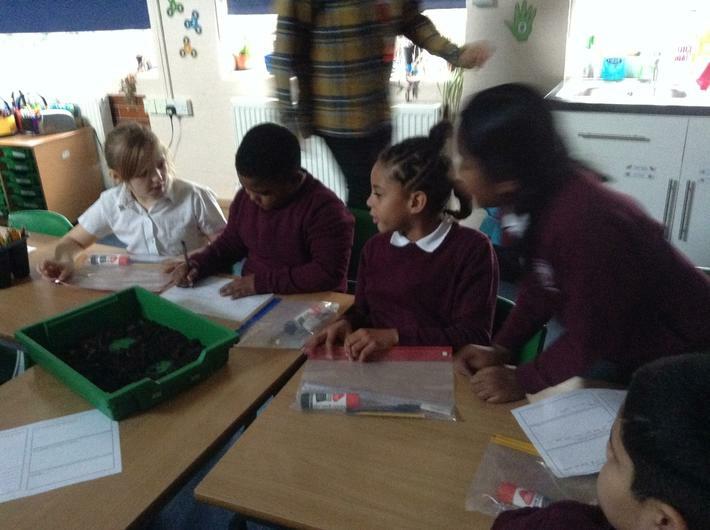 We looked at different Stone Age items and worked as a group to decide how we thought it could help us survive! 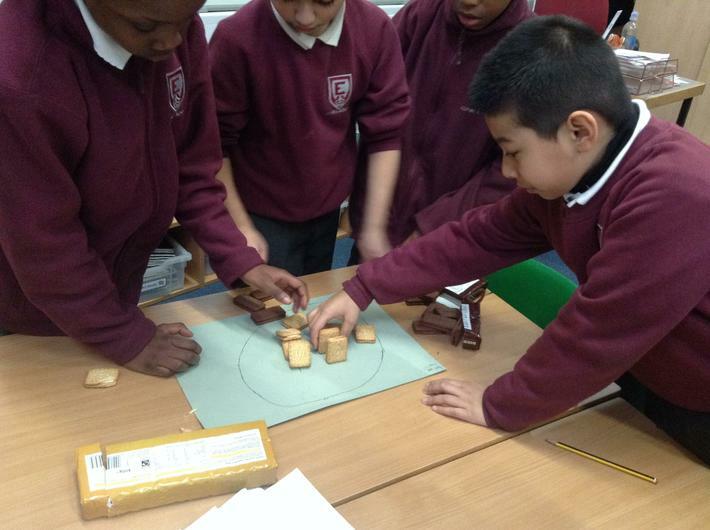 Our new topic for the Spring Term is Early Man! 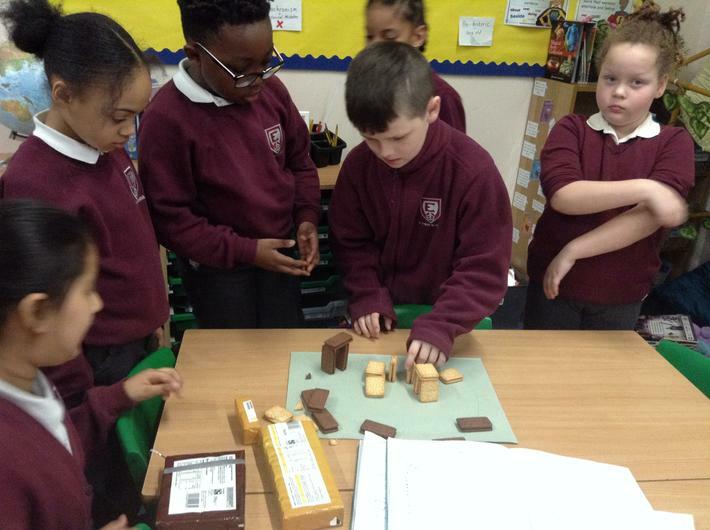 We will studying the Stone Age to the Iron Age. 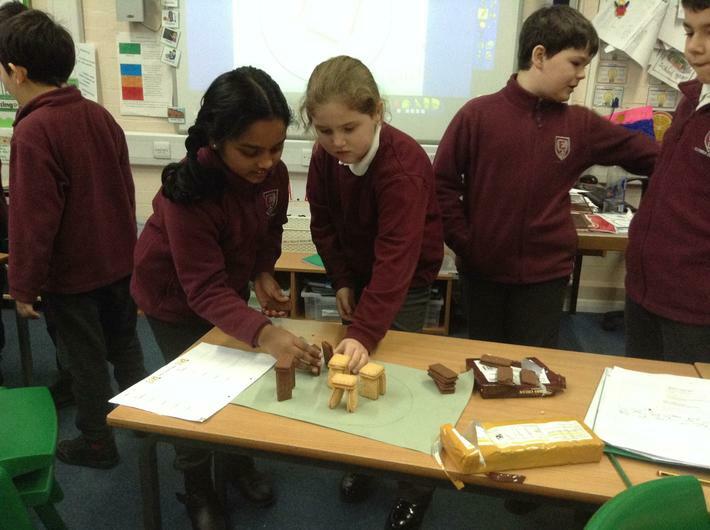 In Science, we will be focusing on animals and humans, specifically looking at nutrition and skeletons. 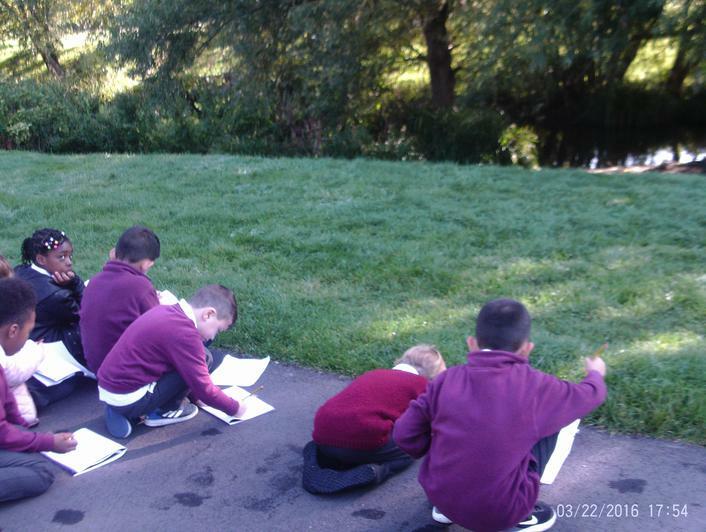 In Literacy today (31.10.18), we were writing poems about the moon in groups. 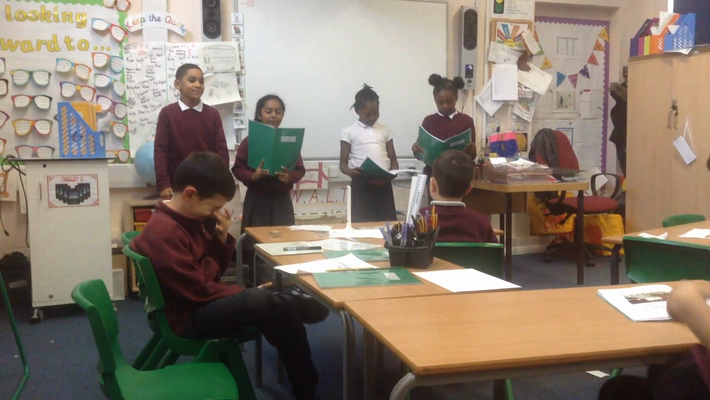 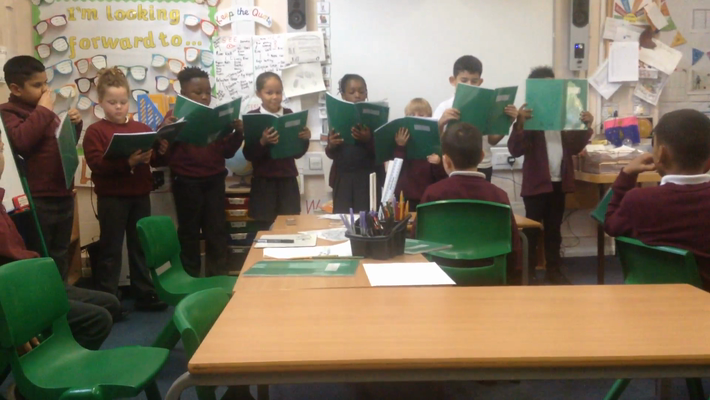 In our groups we performed our poems to the rest of the class. 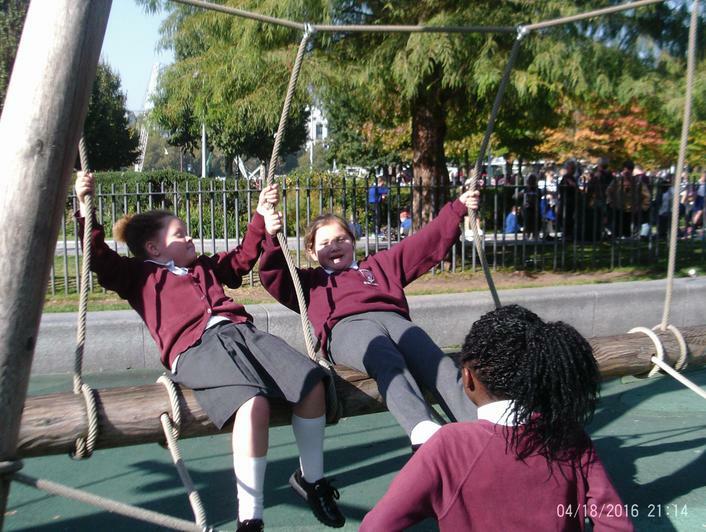 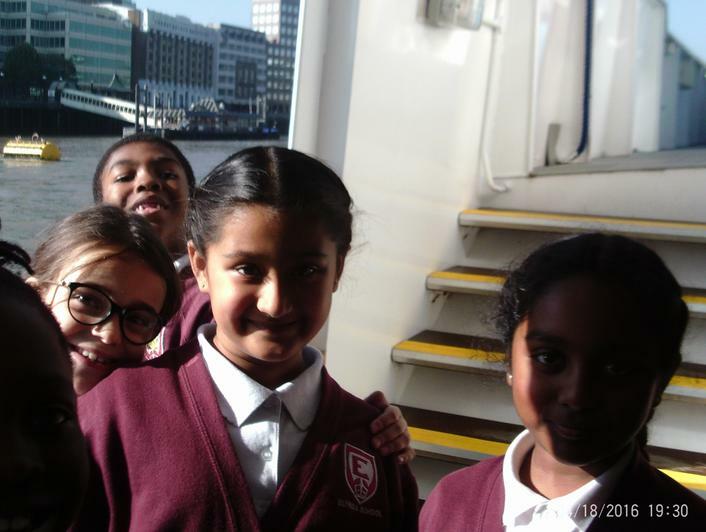 Welcome back, I hope you enjoyed your half-term break! 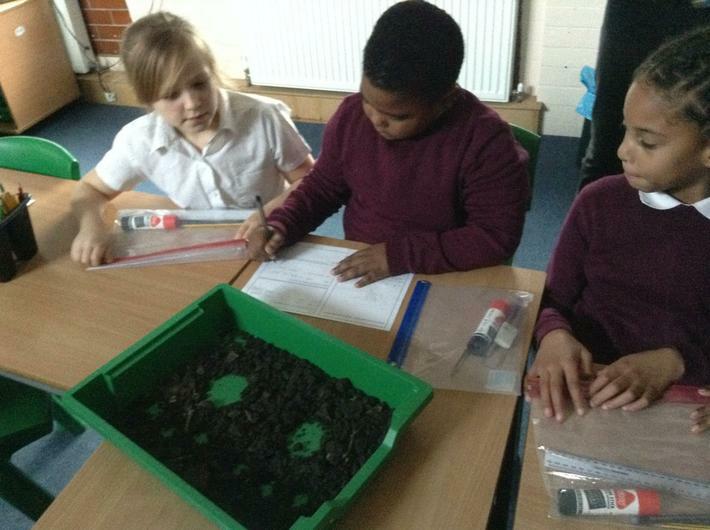 Our new topic for this half-term will be The Earth and Beyond! 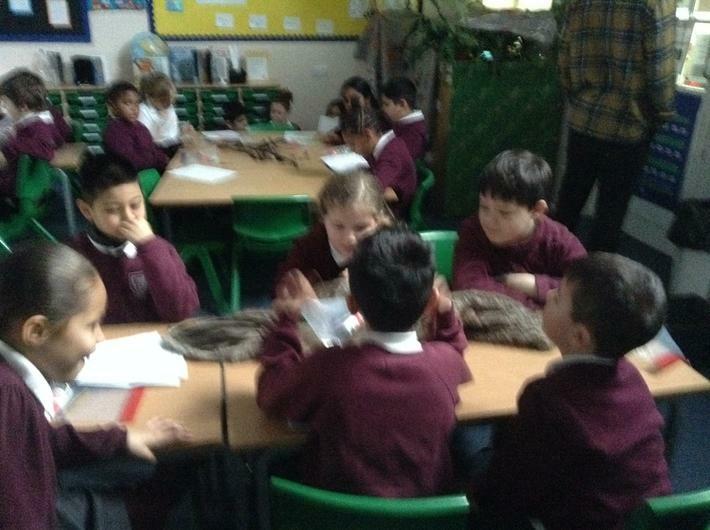 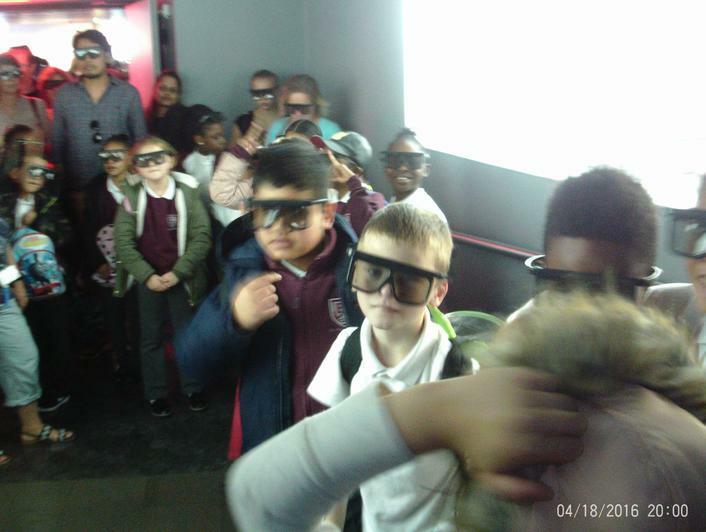 We look forward to learning more about planet Earth and our wider universe. 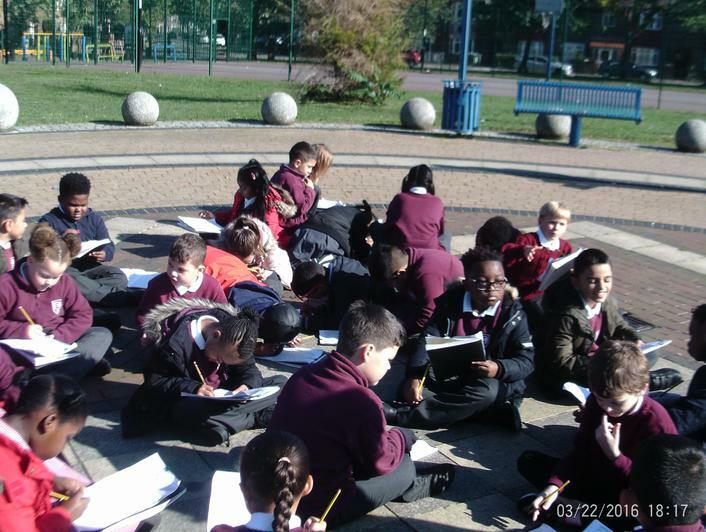 We will be focusing on light and dark in Science (the Sun). 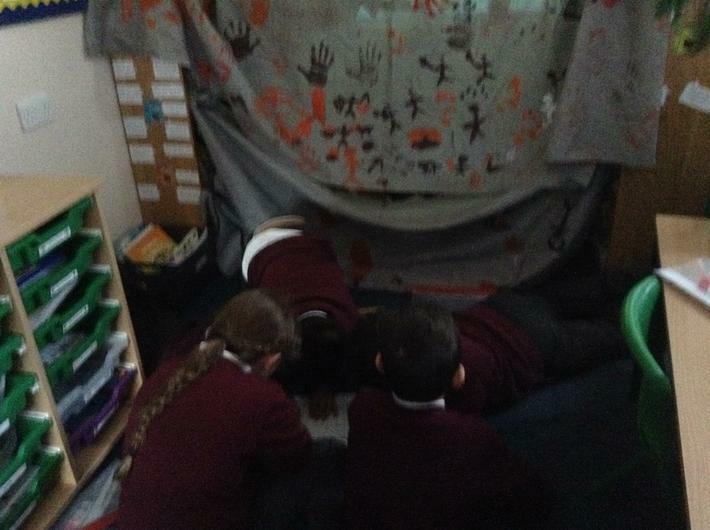 In Literacy, we will be looking at the moon (and the man in the moon). 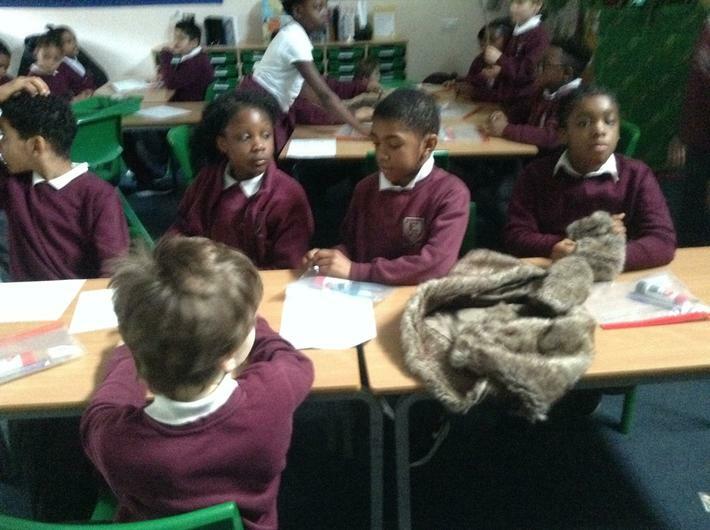 It should be an exciting term! 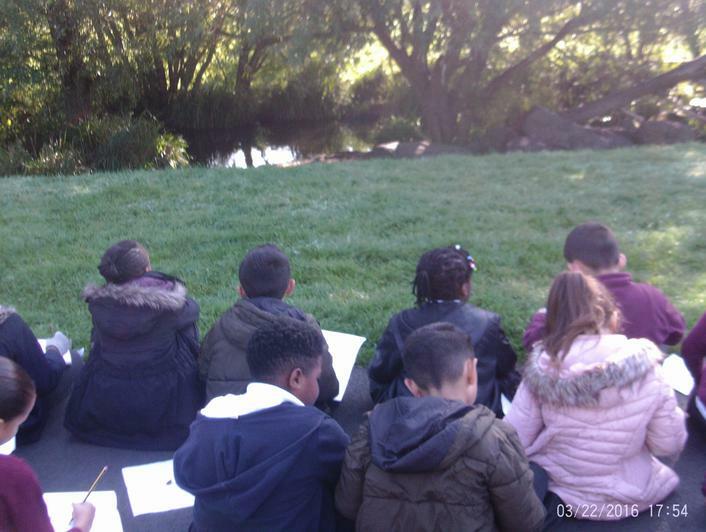 Today (10.10.18) we had a fantastic day in London! 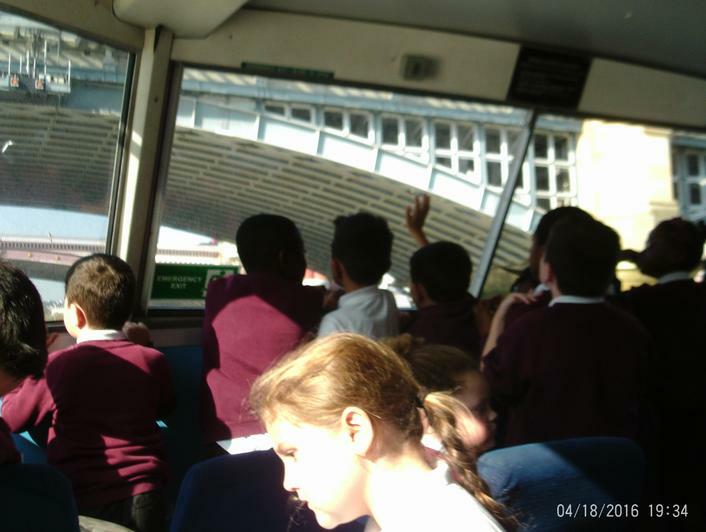 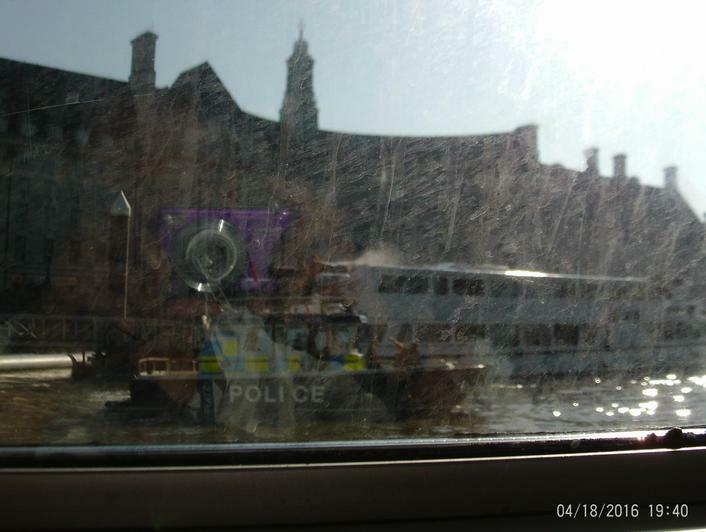 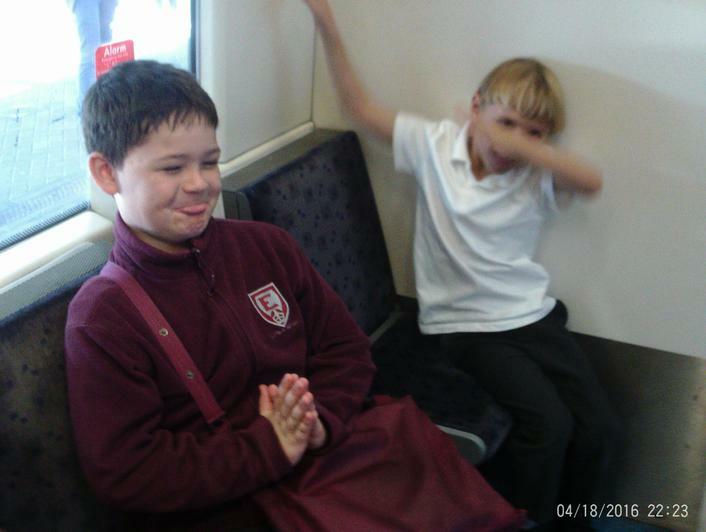 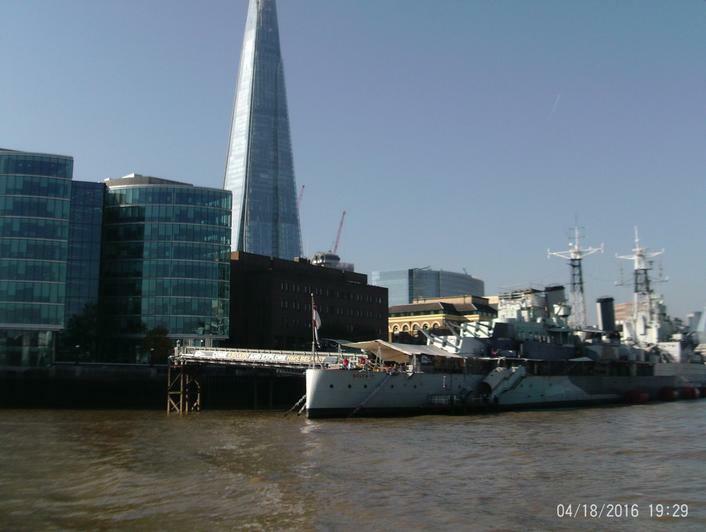 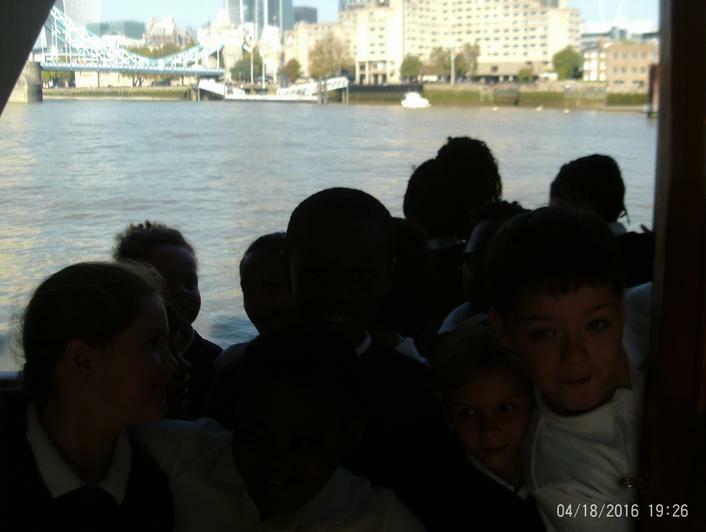 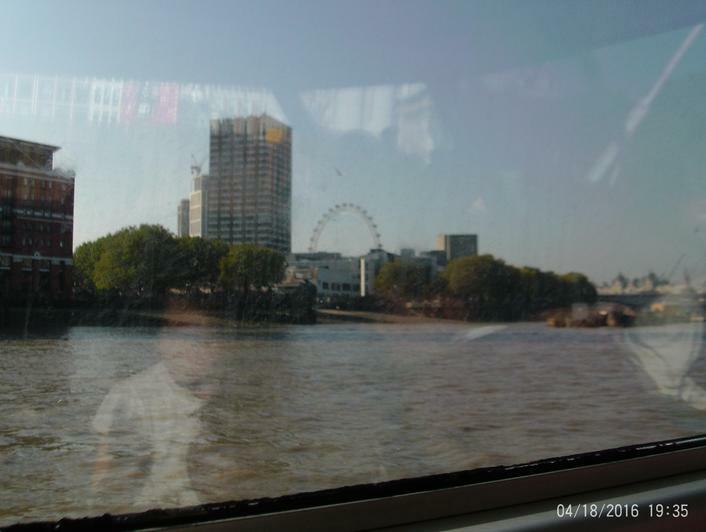 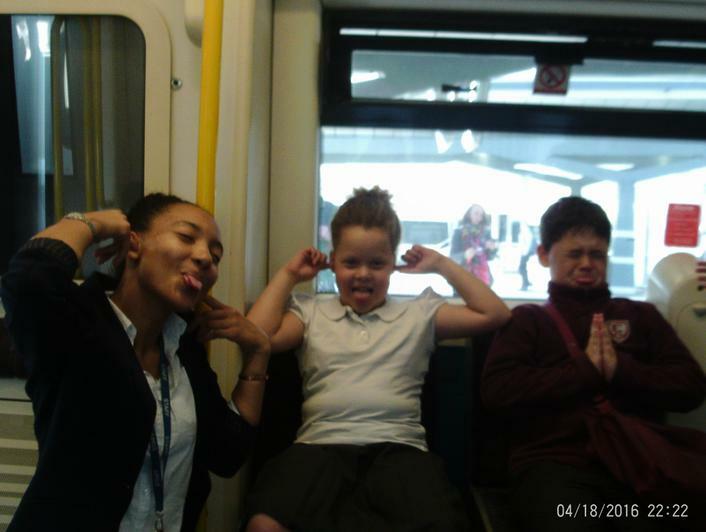 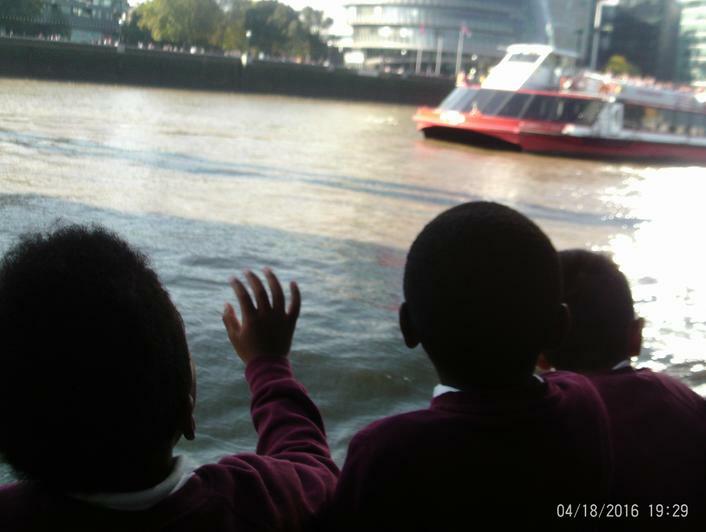 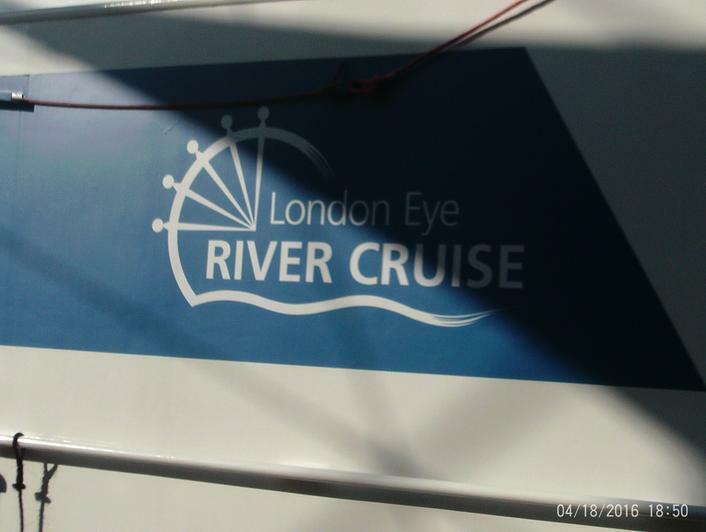 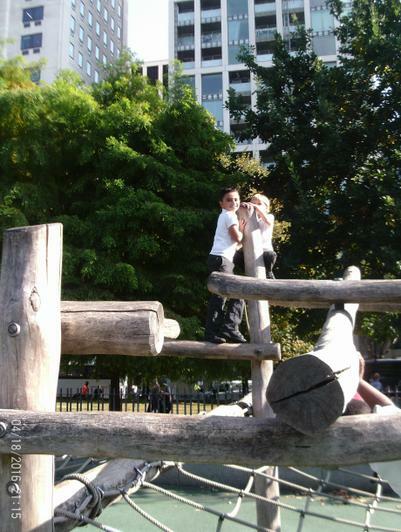 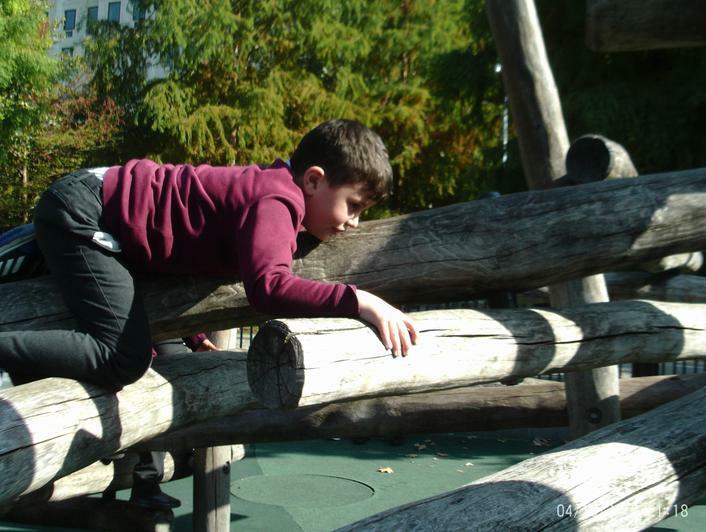 We enjoyed the following: taking a train to London, going on a boat (many for the first time ), seeing different landmarks on our boat ride, going to The London Eye 4D Experience (some of us got really wet), eating our lunch in the park, playing in the playground, watching a street performer do magic along Southbank and then (of course), taking a train back to Lower Sydenham and walking back to school. 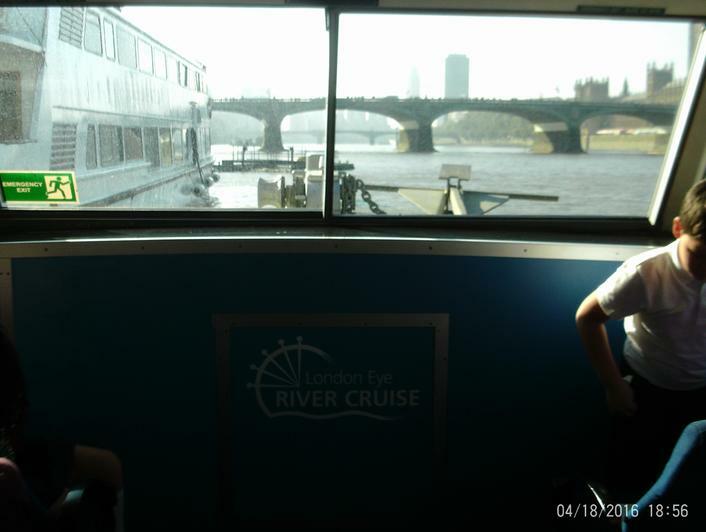 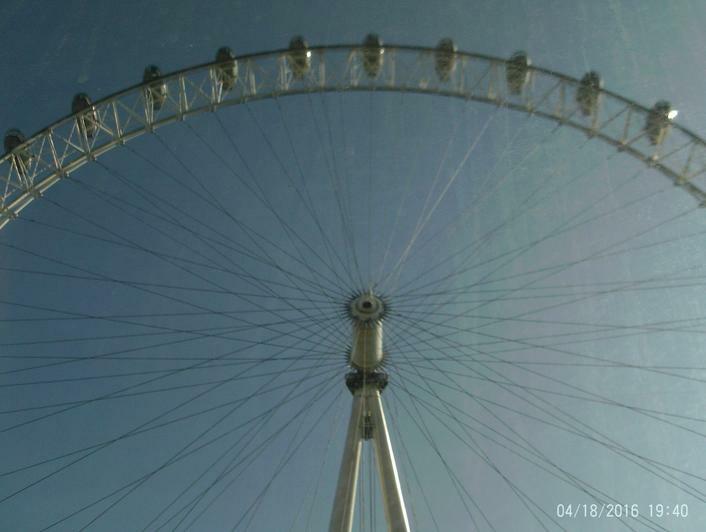 Throughout the day, we completed a London Scavenger Hunt looking out for various sights and being our trip photographers. 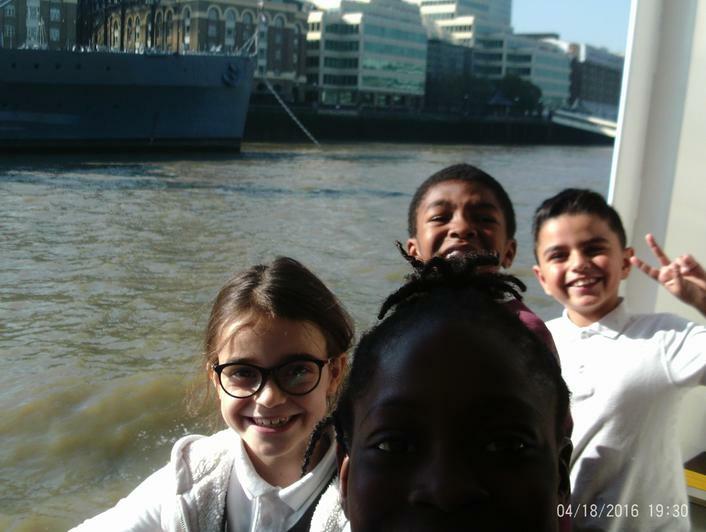 We all took lots of photos in our groups to help us capture the memories. 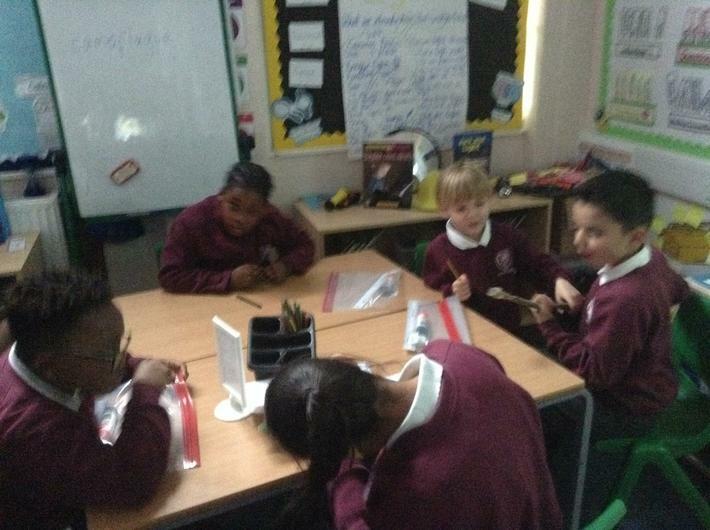 We had a very busy day and many of us were tired when we got back to school, so we enjoyed sitting down and listening to Miss Burton read 'Winnie-the-Pooh Goes to London'. 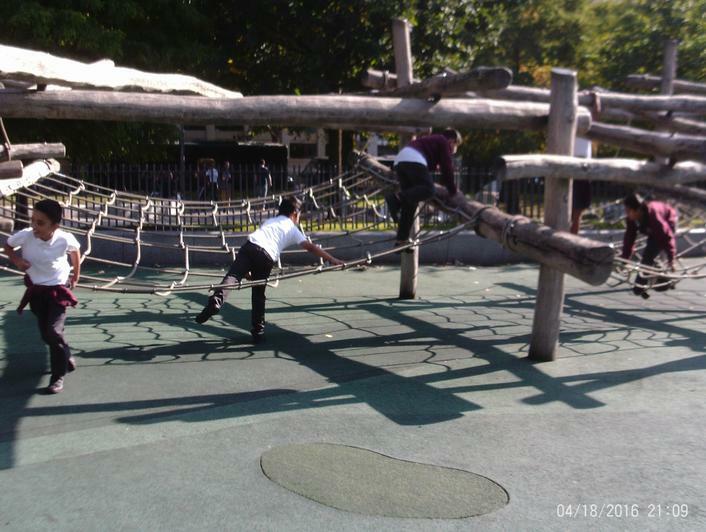 Thank-you to all the parents that came to help us today - it was awesome! 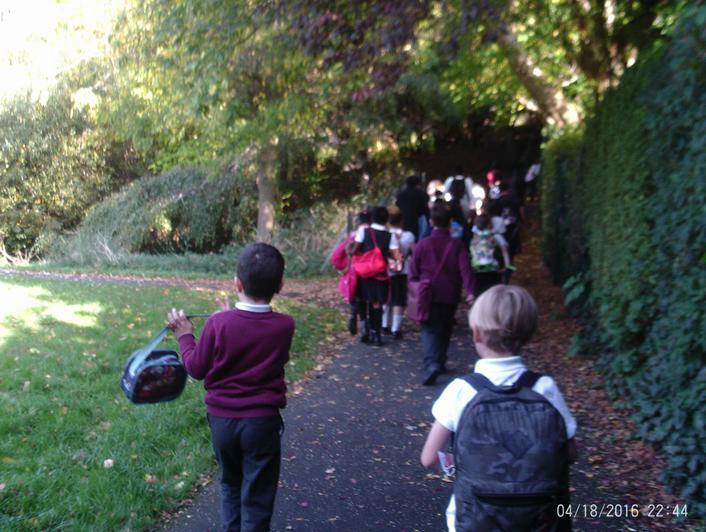 This Thursday (13.09.18), we went on a trip exploring our local area, Bellingham. 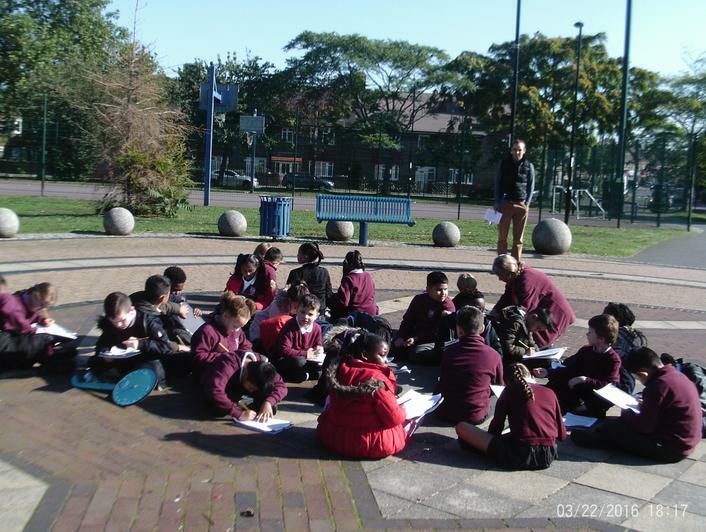 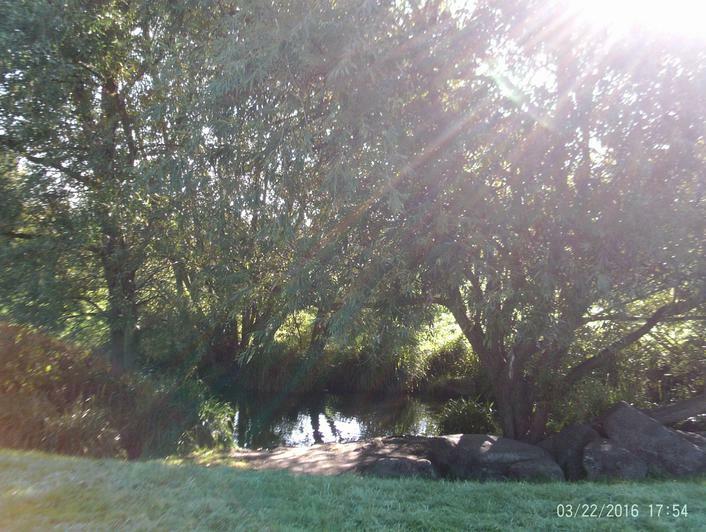 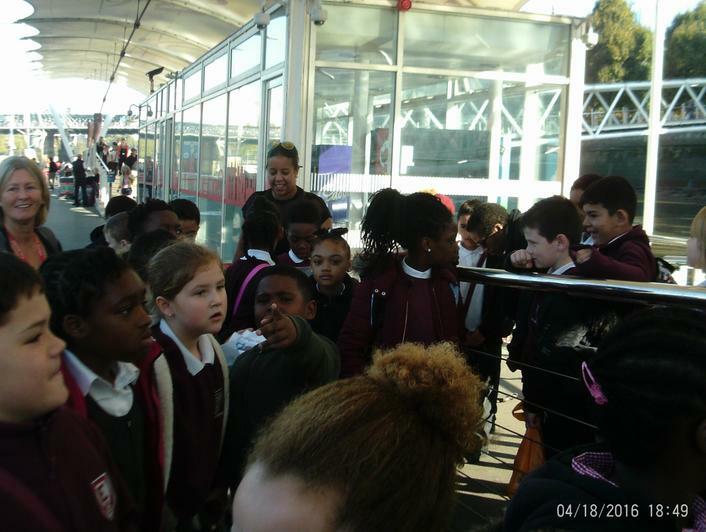 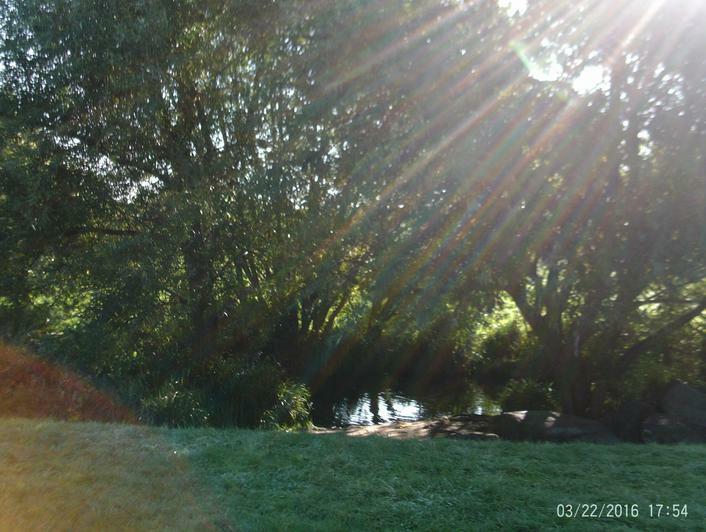 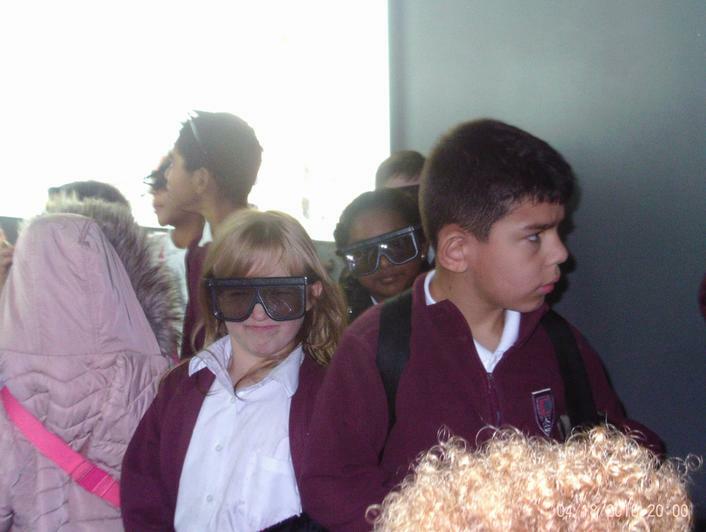 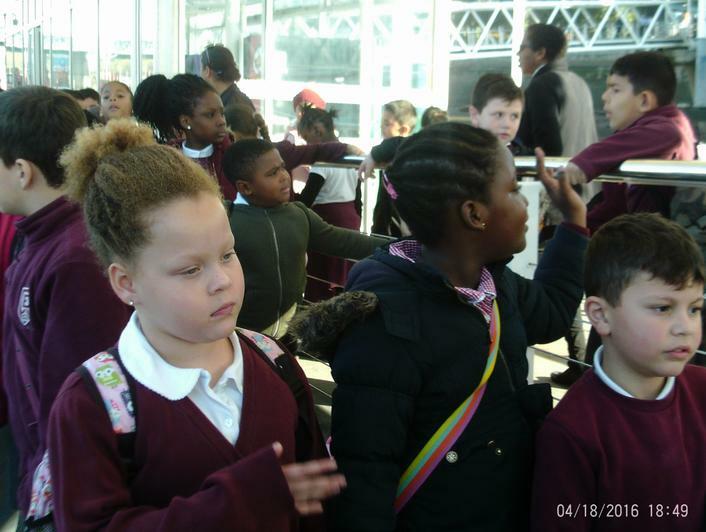 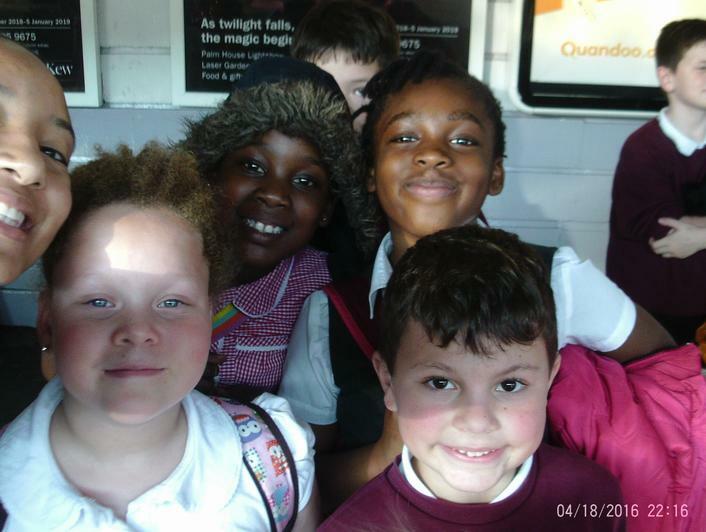 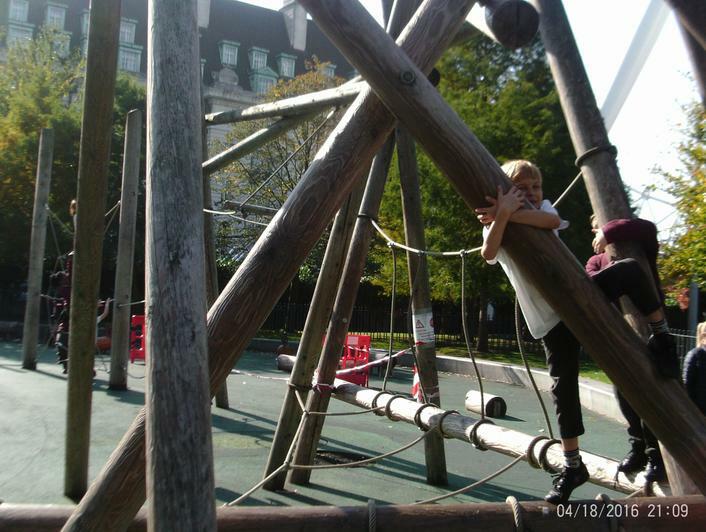 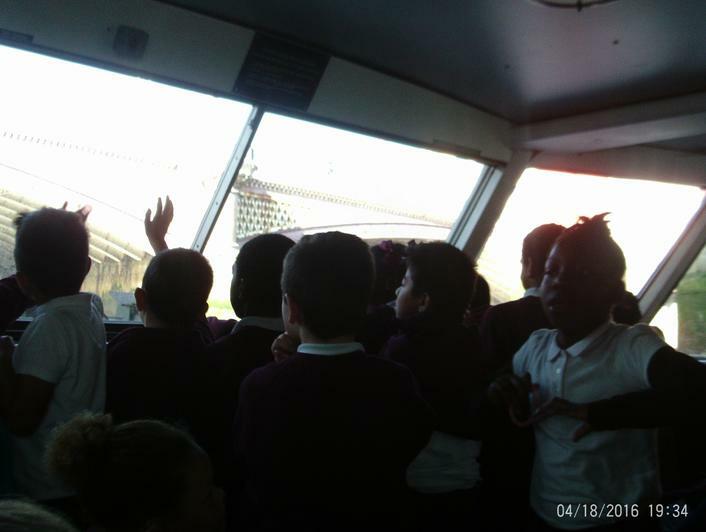 We visited the Riverview Walk, Bellingham Green, Bellingham Train Station and Bellingham Leisure Centre. 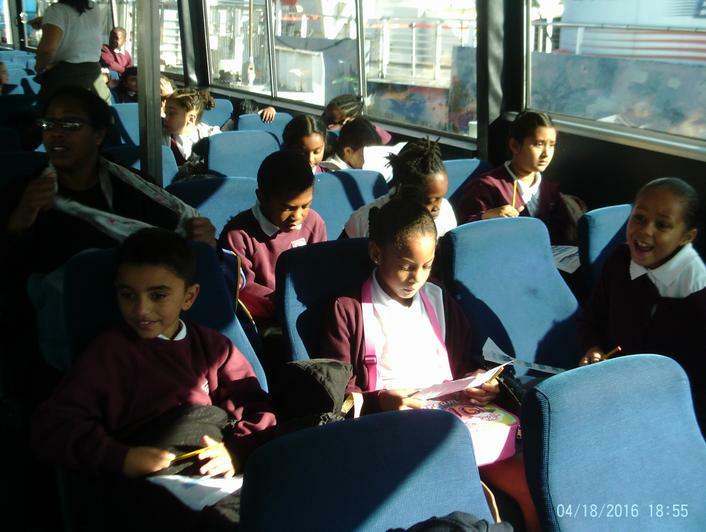 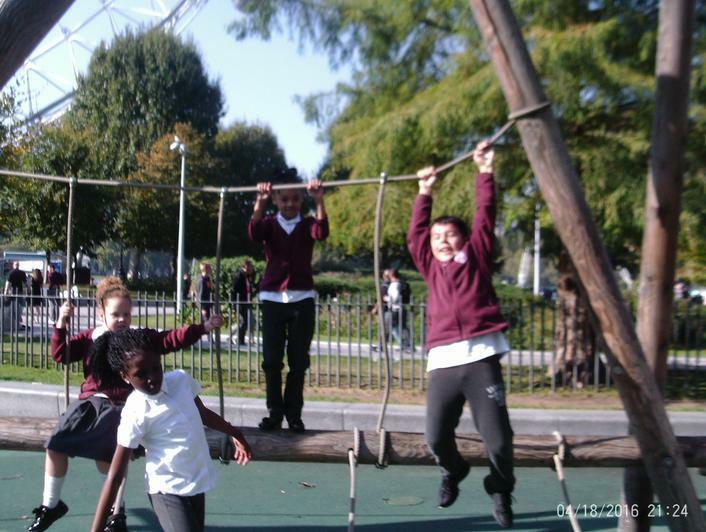 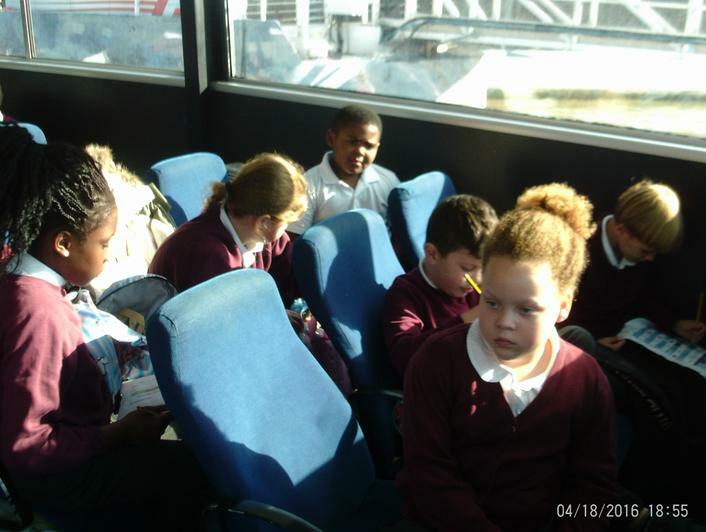 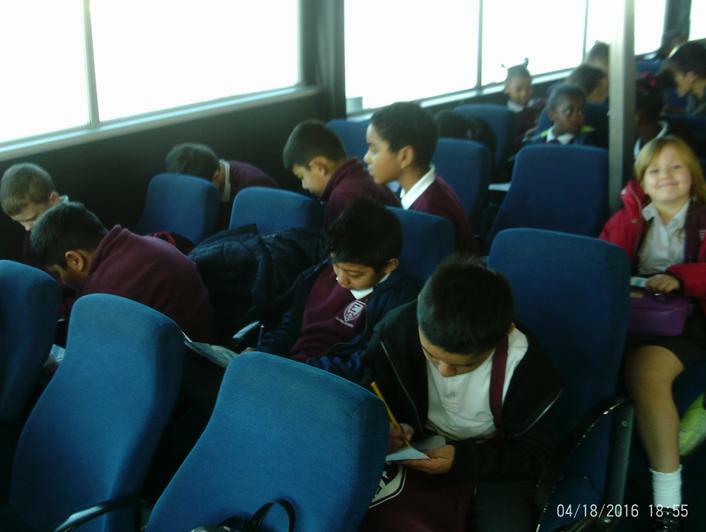 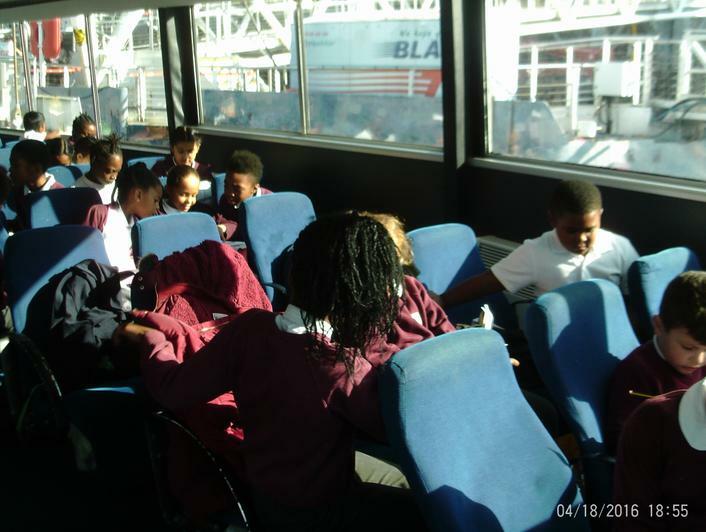 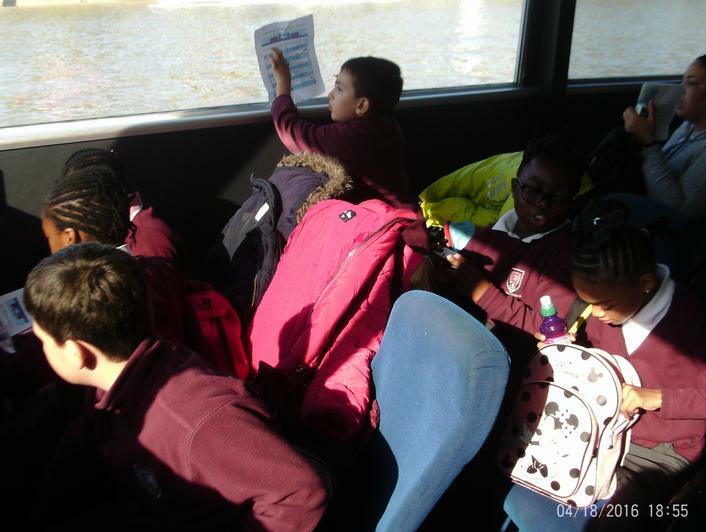 At each stop the children completed different activities, including sketching! 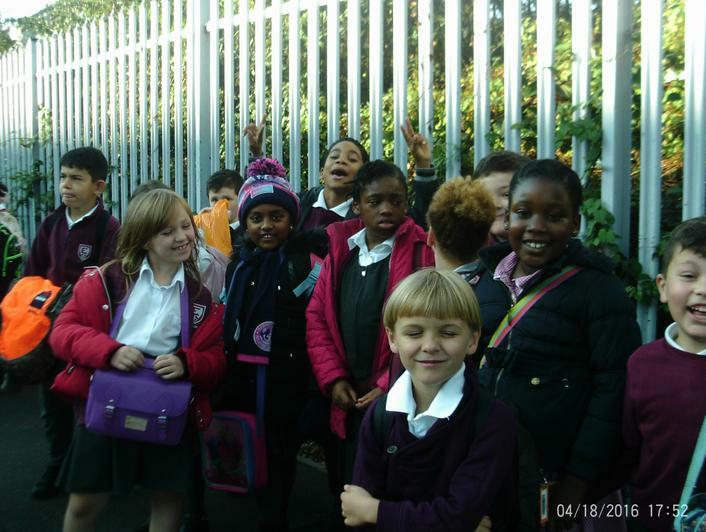 We had an awesome morning! 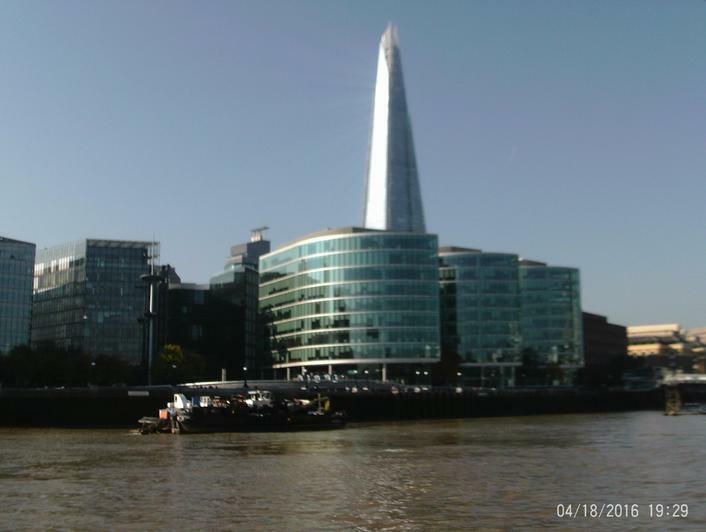 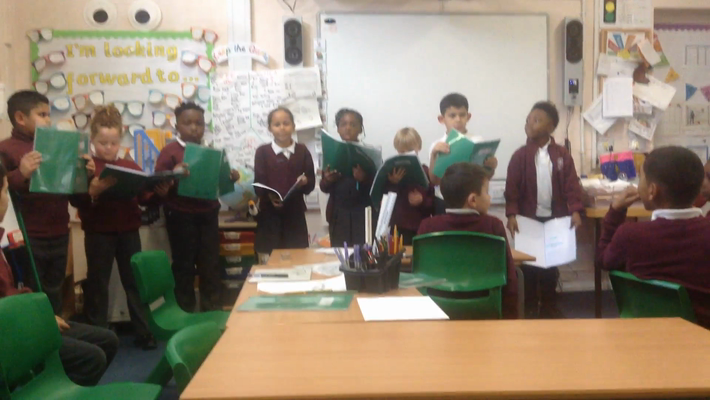 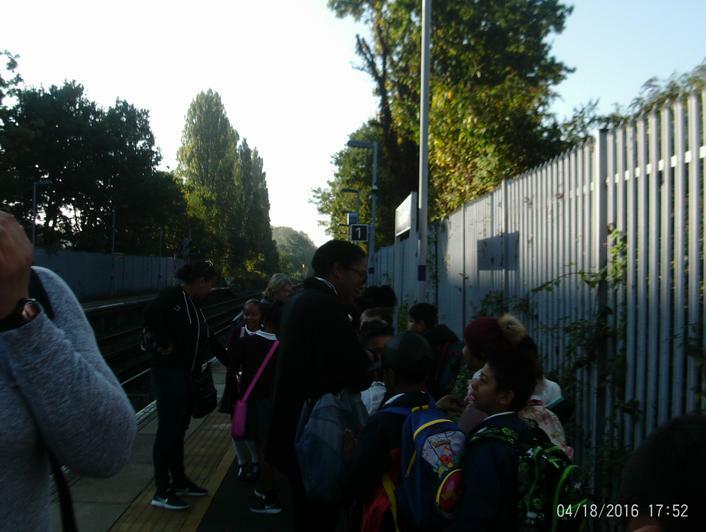 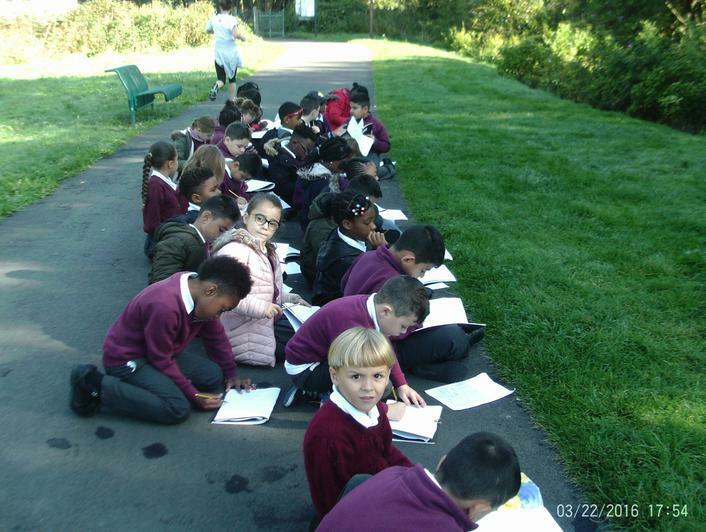 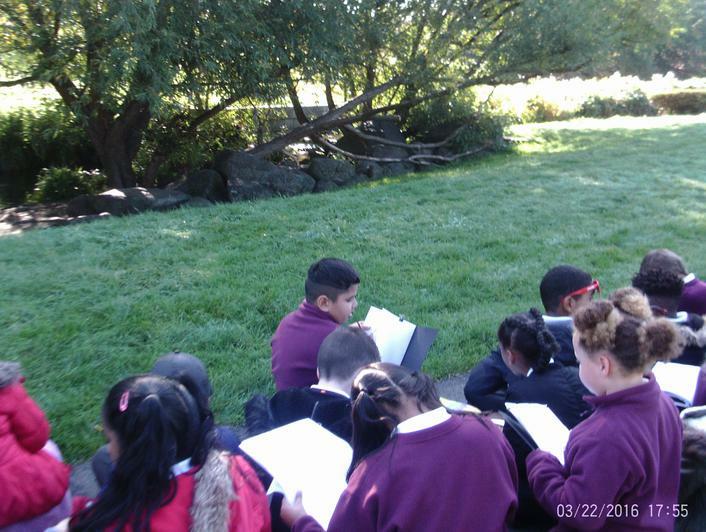 In Literacy we have been looking at the book 'A Walk in London' by Salvatore Rubbino, and we are looking forward to write about our trip and produce our own book called, 'A Walk in Bellingham'. 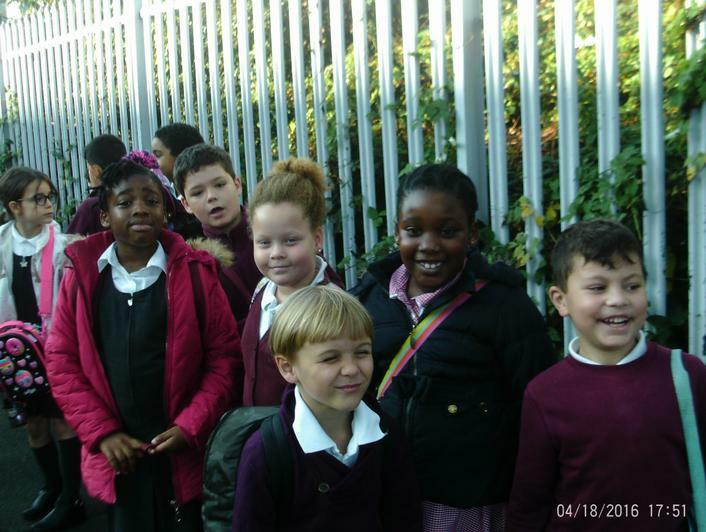 Welcome to Redwood 2018 - 2019! 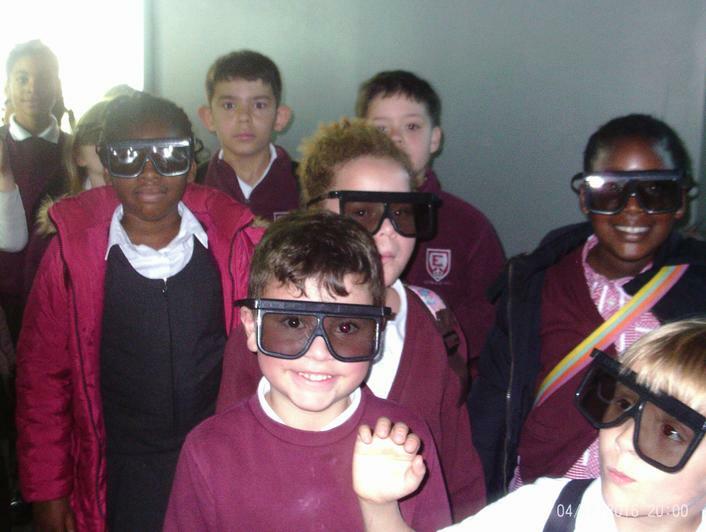 I am very excited to be teaching your children this year and I hope that we will have a fantastic year as we have fun learning!